Maclean demonstrates he gets it. Gorgeously shot, crisply edited, acted with devilish finesse, and blessed with a rawboned musical score that haunts you while you’re watching the movie and taunts you on the way home, it’s all of 84 minutes. But when it’s done, you know you’ve seen something. Along with last year’s “The Homesman” and the Coen brothers’ recent remake of “True Grit,” “Slow West” presents the Old West as the place where European civilization goes to die, where entropy and deprivation reduce people to madness and homicide. Into this picturesque maelstrom — 1870 Colorado Territory, specifically — rides Jay Cavendish (Kodi-Smit McPhee), a 16-year-old Scottish naif seeking his lost love, Rose (Caren Pistorius). He carries a compass and a copy of a guidebook called “Ho! For the West!,” and he’s eager to meet the colorful natives and romantic outlaws of which he has read. How the kid has made it this far alive is anyone’s guess. As Silas Selleck, a grizzled rover who takes Jay under his protective wing for cash, Michael Fassbender channels every terse sagebrush loner from Clint Eastwood through John Wayne all the way back to silent-era cowboy William S. Hart. (He looks ahead to Mad Max, too.) Since he speaks in complete sentences and only kills when and who he has to, Silas represents a slightly more affable member of the species. But the body count is high from the get-go. “Slow West” opens with Jay riding through the smoking wreckage of a Native American village, and shortly thereafter there’s a four-way showdown in a country store — a shack wedged into a cliff, really — that ends badly for almost everyone involved. The tone is blunt and absurdist, black comedy for a pristine wasteland. “We could have taken them in,” Jay says about a pair of suddenly orphaned immigrant children. “In where?,” Silas growls in response. In flashbacks to Scotland, we learn that the love between the wealthy young man and his Rose, the daughter of a tenant farmer, is fond but decidedly one-sided. We also learn why Rose and her father (Rory McCann) have fled to America, why there’s a $2,000 bounty on their heads, and why a posse led by the resplendently depraved Payne (Ben Mendelsohn) is dogging the heroes. 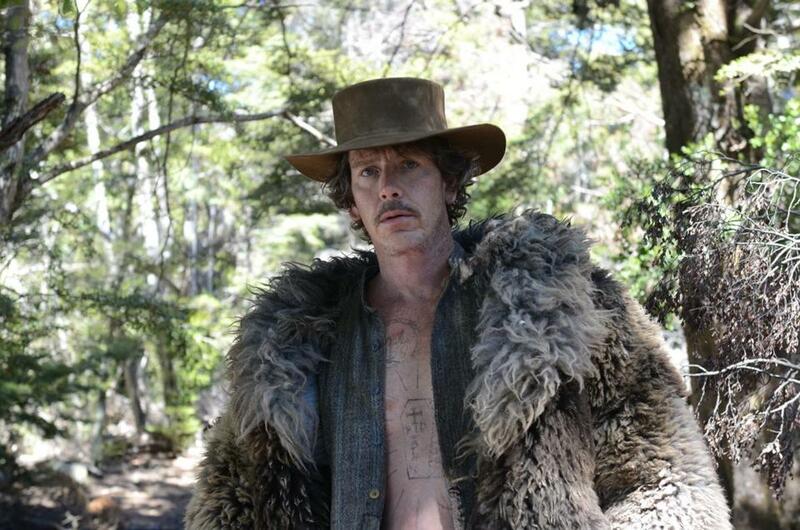 A great Australian character actor, Mendelsohn swaggers through the film in a billowy silver coat of wolf fur, carrying a bottle of absinthe, and radiating congenial evil. 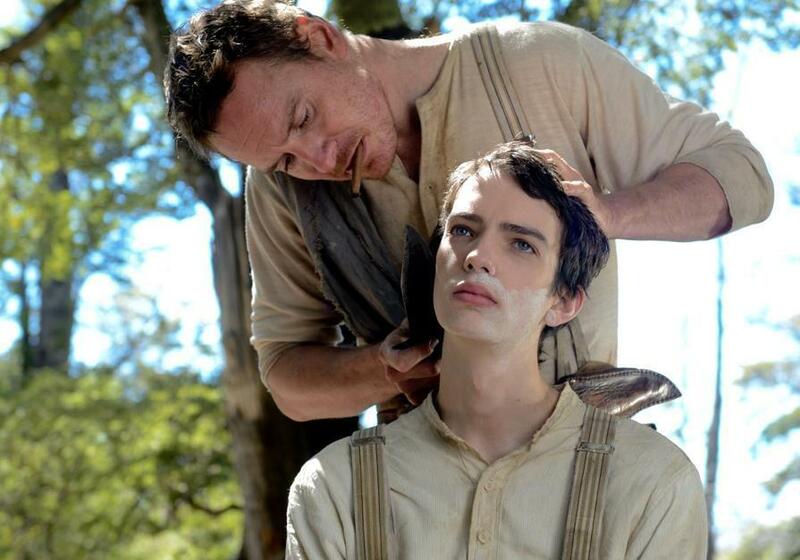 “Slow West” doesn’t really go anywhere we haven’t been, but because Maclean is discovering the genre for the first time, we see through his fresh yet jaundiced eyes. (A member of the Scottish folk-electronica outfit The Beta Band, he has cut his teeth on band videos and a handful of shorts.) If the vast mountain plains and surreal rock canyons seem more dramatic than usual, that’s because Colorado is played by New Zealand; as photographed by Robbie Ryan, the locations have the crystal clarity, the royal blues and glowing oranges, of life in high air. Maybe Fassbender doesn’t make Silas as dangerous as he might need to be to survive in this scraped-down moral landscape. The movie doesn’t stick around long enough to press the point. It ends pretty much where it has been heading all along: a gun battle erupting in a bright field of wheat, combatants popping up like jack-in-the-boxes, Jay’s violent coming-of-age, the revelation that Rose may be the most levelheaded character in the entire movie, and one of the best visual puns I’ve seen in ages. That last is a throwaway, and maybe “Slow West” is too. But it’s one made with kindness, cruelty, and forgiving wit by a filmmaker with his eyes wide open.